Truly, there is not a more fun way to kick around town on two wheels than on a dual sport motorcycle. 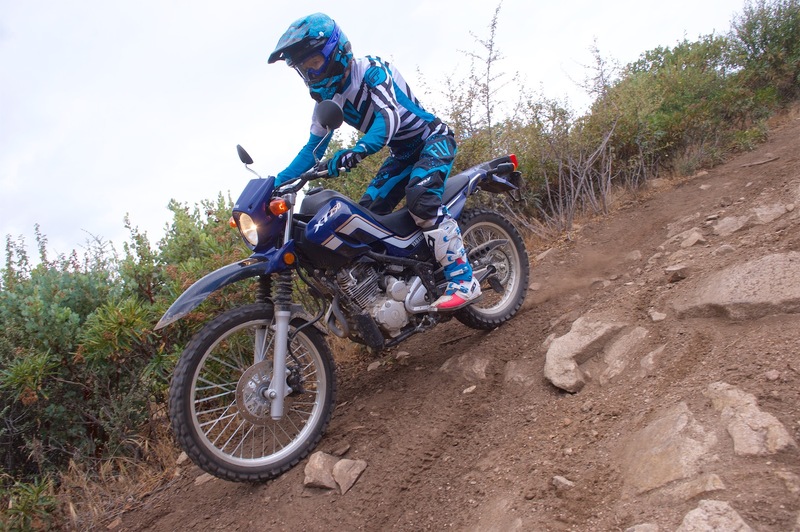 Unless you’re looking for a hooligan ride (Suzuki DR-Z400SM or Husqvarna 701), the 2017 Yamaha XT250 is an excellent example of the versatility that a dual sport bike offers in a small package. The small displacement makes it a great motorcycle for novices, or anyone looking for an easygoing, dependable ride. The popular XT250 dates back to 1981, and is now in its third generation. It’s been in the same basic form since 2008, with EFI being added in 2013. 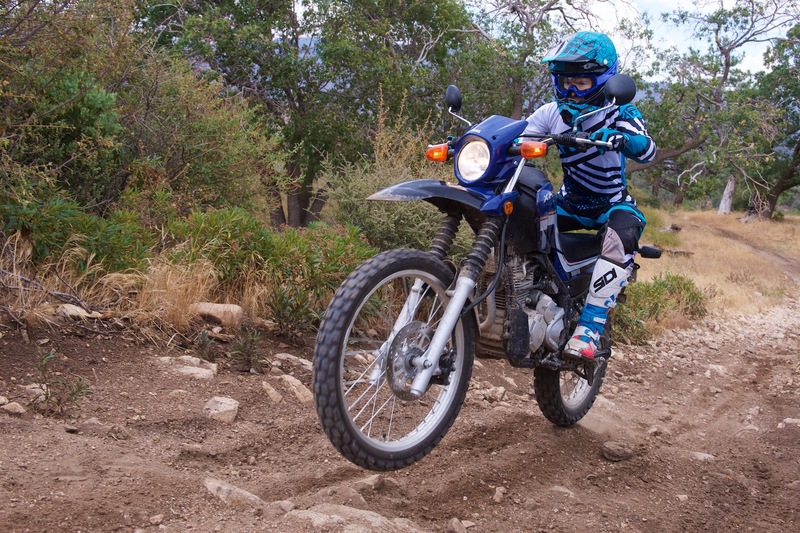 The renewed interest in small displacement bikes in the US should ensure the XT250’s continued run. 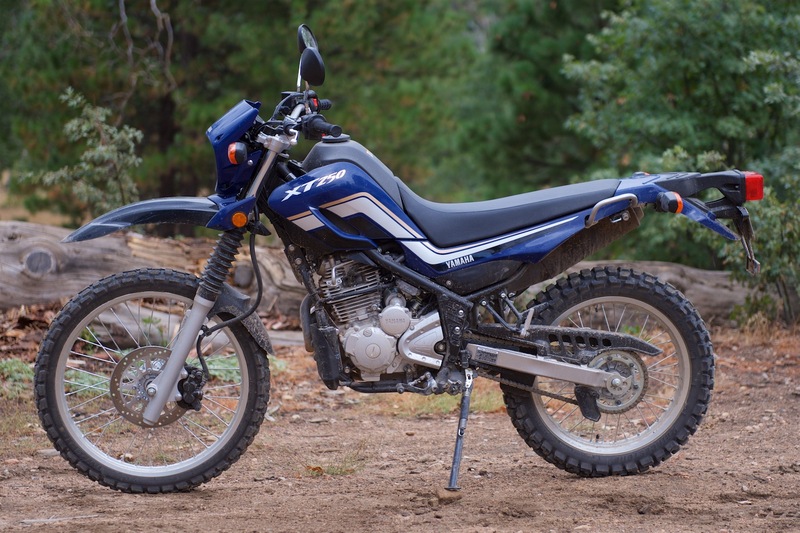 Having honed my riding skills on 1980s dual sport bikes, it is total nostalgia to throw a leg over the saddle of Yamaha’s 2017 XT250 and head out on trails and dirt roads in the local National Forests. I don’t think I could have a better time. First off, the XT250 is not intimidating in any way. For a bike you can take into the dirt, the seat height is surprisingly “reasonable.” The sub-32-inch unladen seat height may sound tallish on paper, but I have a 30.5-inch inseam and I can get both booted feet flat on the ground. Certainly for something you take off-road, this is a confidence-inspiring seat height. The bike is narrow, as is the dirt-bike firm seat, so you don’t waste much of your leg length getting past the bike’s mid-section. Adding to the ease of balancing on two-wheels is the XT250’s claimed wet weight of 291 pounds—26 pounds less than the taller Honda CRF250L. Yep, this bike is not a handful, and is so nicely capable. The 2017 Yamaha XT250 is still an air-cooled motor, but with electric starting and fuel injection, it has the most important modern upgrades. Fueling is smooth and predictable and there’s no carburetor to deal with when you go on rides that vary in elevation by 5000 feet or so. For those who find the seat height is on the edge of their comfort zone, not having to kick-start the bike helps immensely. The 249cc SOHC single is oversquare so the XT250 has a peppy response off throttle. It’s nothing fast enough to get you in trouble, and modulating the power with the non-adjustable clutch lever is straightforward. Heading down a muddy jeep road during an unexpected thundershower, I was completely at ease on the XT250, immediately enjoying its slender build and easy maneuverability. With nearly nine inches of travel for the gaiter-equipped front fork, I had no problem bouncing over the rutted road, picking my way through the rubble of rocks and debris already collecting, and splashing through streams of water running down my path. Although shod with dual sport tires—which are naturally a compromise—the Bridgestone Trail Wing 30s do an admirable job when aired down for off-roading (17 psi front; 15 psi rear). 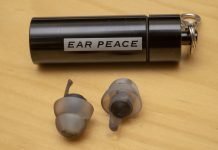 They held fast in the slippery and inconsistent conditions and never gave me pause—the easy power delivery helps. The odd two-piece fender kept mud off of me, and didn’t pack up. Shifting with my off-road Sidi X-3 Lei boots took some getting used to, as the gap between the XT250’s footpeg and shift lever probably wasn’t designed with a size 42 pure dirt bike boot in mind. This was not an issue when I was wearing Tour Master’s Trinity Women’s Touring boots on my street rides. Aside from my big boots, shifting was spot on through the five-speed gearbox. There’s a single 245mm front disc to keep the Yamaha XT250’s speed in check, and action at the right lever is appropriately mild on initial engagement. Squeeze harder and you’ll find enough power to slow the bike quickly, but nothing to chuck you over the bars. Similarly, the rear brake is useful and softly engaging. From both a seated and standing position, the XT’s ergonomics work well; hand and foot controls are comfortably situated and contribute to confidence in handling the XT250. 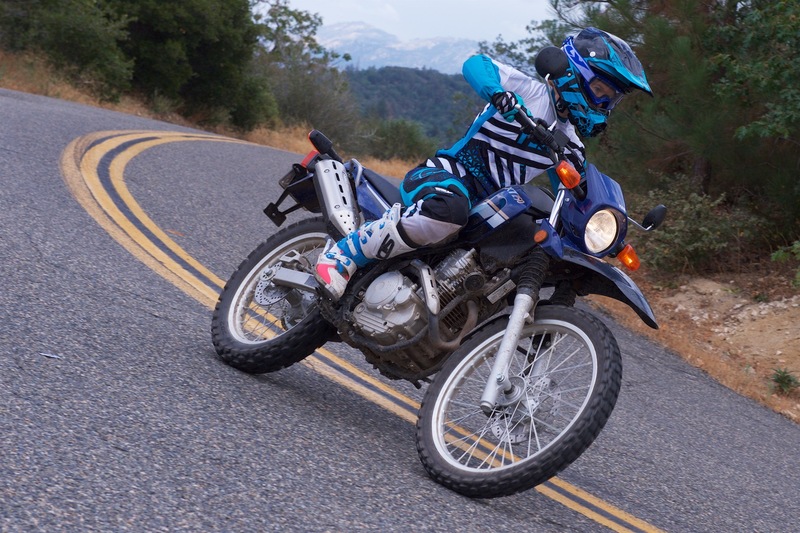 Tooling down a dirt road on the XT250 can be as laid back as a Sunday drive—the bike is so comfortable and casual that you can easily be satisfied taking in the scenery at a mild pace. At the same time, the XT is a willing partner on some of the Black Diamond trails in our local mountains. The suspension is far from sophisticated and the damping isn’t adjustable, so you will have to manage your expectations on the more difficult trails. 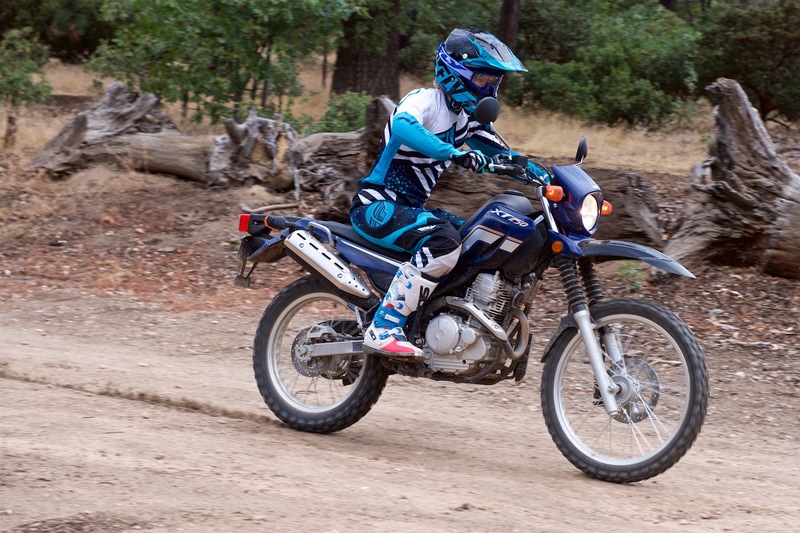 At a low-to-moderate pace, the XT250 does its job well—just don’t push it to go fast. The engine is responsive yet controlled, allowing you to easily finesse your way through technical rock gardens. There are over 11 inches of clearance to play with, but do keep in mind that there’s no real skid plate protecting the engine. After you’ve dusted up the dark blue plastic, air up those Trail Wings and head back to the city. It’s a toss up as whether the XT is more fun in the urban environment than off-asphalt. Maybe it’s because you’ve got that great vantage sitting completely upright and slightly high, with suspension that makes light of city-street decay, but it just feels like playtime riding around town. Nothing happens fast enough to get you in trouble, but the acceleration is satisfying enough. If you short shift the five-speed gearbox, you can get away from a stoplight and keep out of the way of the cars you’ve scooted between. While a more powerful motor has its appeal—I briefly swapped over and checked out the WR250R for comparison—the added height of the WR immediately takes away from the cozy comfort on the street of being able to easily touch both feet down, and there’s more power to manage. More experienced (and taller) riders will be more comfortable on the WR250R, though. 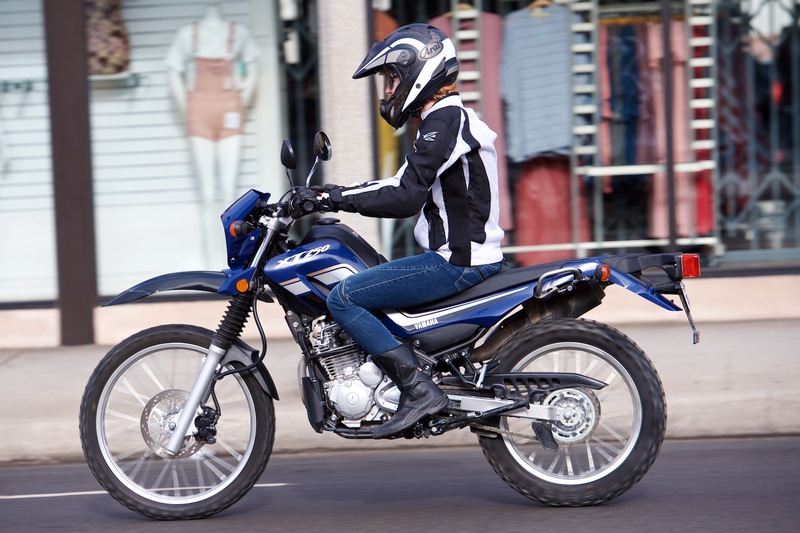 The XT250 is not up to serious freeway commuting; it’s certainly capable of freeway speeds, but there’s nothing much in reserve should you need to accelerate out of a tight situation. The ergonomics don’t make it a great high-speed choice, as the wide bars and upright seating position make you feel like a sail since there’s no windscreen to direct the windblast over you. Finally, the narrow wheels shod with dual sport rubber do not provide as secure of a contact patch with the roadway as you might like at high speeds, especially on diamond-grooved pavement. However, the long travel suspension does a great job soaking up the uneven pavement and expansion joints. Short freeway hops are fine, but don’t buy the XT250 expecting to be comfortable on your daily high speed, or highly aggressive traffic commute. Many people buy the XT250 as a motorhome bike, and there’s a reason. Weighing less than 300 pounds, it’s easy to load and unload, compared to a full-on street bike. 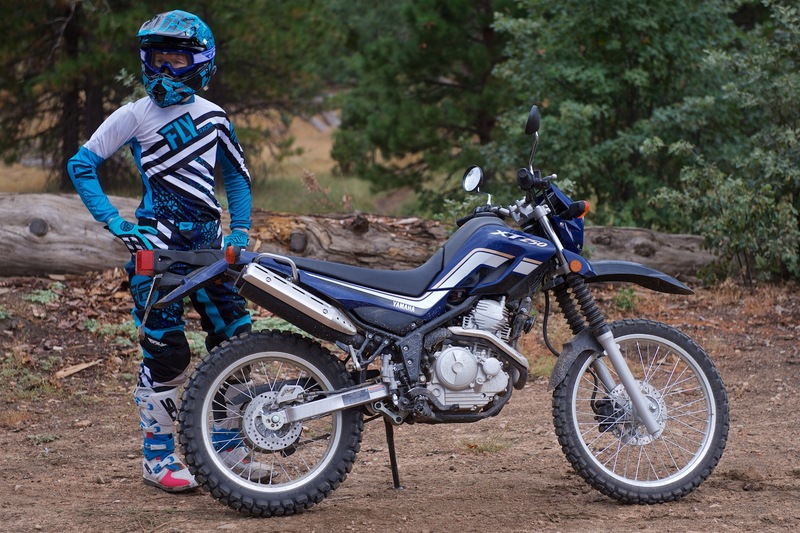 Around camp or on runs to the local country store for provisions, the Yamaha XT250 is easy to use, endlessly agreeable, and maintenance is anything but demanding. The 2017 Yamaha XT250 is an amazingly satisfying and practical small displacement bike. It perfectly balances around town jaunts and light commuting duties with its off-road prowess, and being able to ride from your garage to the dirt gives more riders access to off-road adventures. Previous articleUPDATE: 18 Days After Breaking Leg, Rossi Rides: Ready for Aragon MotoGP?